MindTouch provides a cloud-based, AI-powered knowledge management platform that drives customer self-service, agent assistance and case deflection for organizations of all sizes and industries. 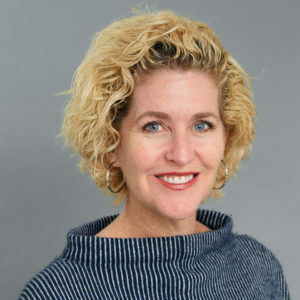 As company growth accelerated, Amy Etheridge was tapped to develop a customer advocacy function to look after the customer experience as a whole. A veteran customer success professional, Amy knows how critical customer interactions are to retention. For MindTouch, three of the most impactful interactions are self-service help documentation, support cases, and onboarding. 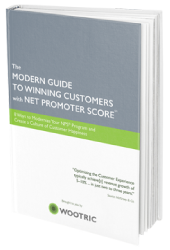 Having the right question asked at each of these points promised to turn up nuanced insight that would mean vast improvements in customer happiness. Unfortunately, her existing customer feedback platform was not customizable or flexible enough to ask the right question at the right journey point, so she sought a new CX technology partner. MindTouch wanted to ask the right question at the right time, and that’s Wootric’s specialty. 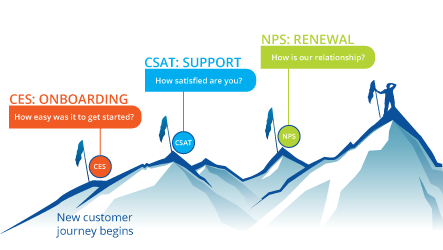 We drew up a plan to deploy surveys at three key customer journey points: in their self-service support center, after a support case closes, and a check-in after onboarding. With Wootric, MindTouch was able to survey in different channels to get higher response rates. 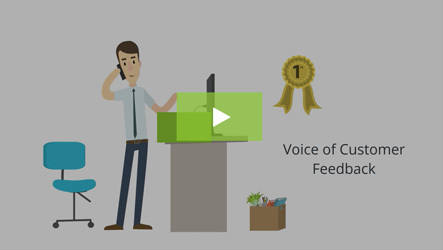 In order to capture useful feedback in their Success Center, it made sense to ask the Customer Effort Score (CES) question to customers right in the MindTouch application. On the other hand, emailing customers a Customer Satisfaction (CSAT) survey upon case closure made the most sense. In addition, the Wootric-Zendesk integration enriches the emails with the ticket number in the subject line. This gives customers more context so they can provide better feedback. Even with such a sophisticated program planned, implementation was fast. 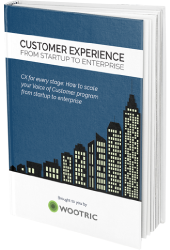 The customer advocacy department uses Wootric to quantify issues and prioritize improvements. Integrations then automatically send feedback to other teams for follow-up and action. For example, once a customer answers a survey, their response is automatically pushed into Salesforce for CSMs to see. The customer success team can see how their accounts are doing at a glance and use feedback to inform their check-in conversations. Deploying a Customer Effort Score survey as customers accessed self-service support with MindTouch has helped Amy and the customer advocacy team understand the effort that customers go through and provides insights into usability. Having CES measured there also helps CSMs predict the likelihood that a customer will stay with MindTouch and their potential for expansion. 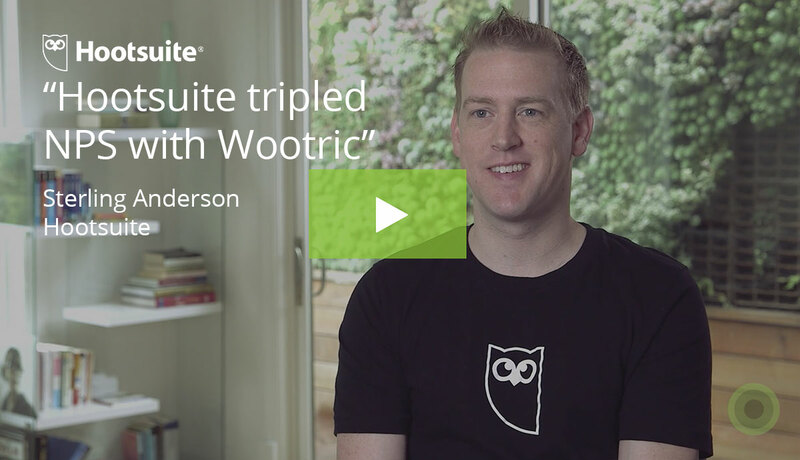 Using Wootric to ask the right question at the right time resulted in immediately actionable insight. For example, by asking how satisfied customers were after a support interaction and why, Amy and her team were able to learn that customers much preferred to have a quick response to waiting for a response with a full resolution. Insight from Wootric NPS feedback helped Amy understand that customers that purchased custom solutions needed more assistance. After turning up this insight, MindTouch started a new professional services division. Offering professional services has turned out to be the right move as MindTouch continues to grow and offer more tailored, custom solutions. MindTouch continues to monitor the customer journey, refining their Voice of Customer program to evolve the excellent customer experience that they are known for. Improve customer experience, starting with three key touchpoints. Lacked a technology partner that could customize surveys, quantify feedback to understand prioritization and business impact.